Get moving again with the SS-15. 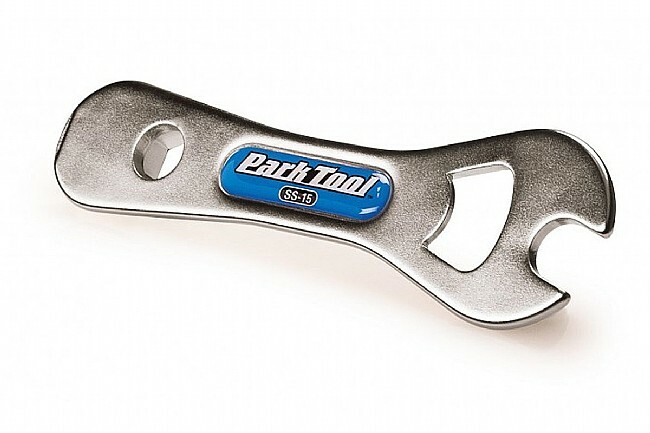 Park's Single Speed Spanner Park includes the must-have tools for flat repair and speedy wheel/pedal removal, plus an integrated bottle opener to ensure you'll never go thirsty. 7" (17cm) length offers plenty of torque for use around the shop, yet remains compact enough to fit right in your bag. Bombproof forged steel construction.